VATICAN CITY (CNS) — Help wipe out bullying and aggression by being better listeners and offering concrete gestures of tolerance and patience, Pope Francis told a group of top YouTubers from around the world. “The level of aggressiveness in our world needs to be dialed down. (The world) needs tenderness, meekness, (people) listening and walking together,” he told them and others taking part in a world congress sponsored by Scholas Occurrentes. “Pride, arrogance — eradicate them. Because pride and arrogance always have a bad ending,” he said May 29 at the close of the three-day meeting at the Vatican. The pope met privately — for an informal closed-door Q-and-A session — with a dozen young YouTubers, people who create their own videos or vlogs, or video blogs, and share them on YouTube. 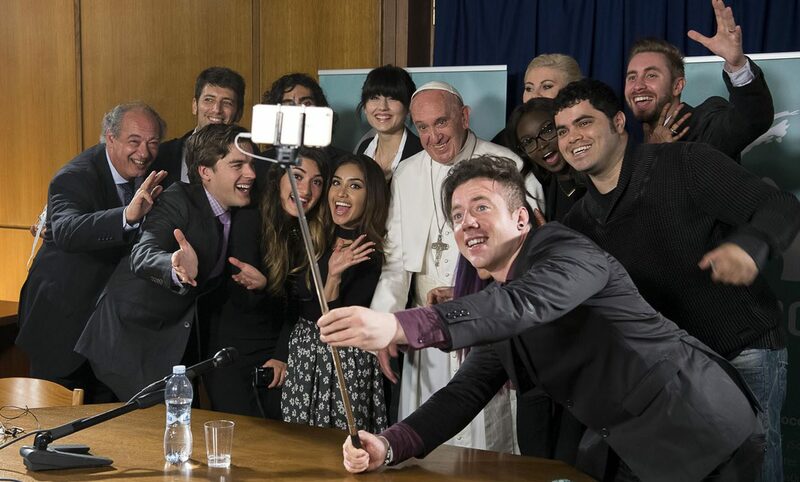 The YouTube “celebrities” who were invited to meet the pope have, when tallied together, about 25 million subscribers. The pope also met privately with U.S. film stars, Richard Gere, Salma Hayek and George Clooney, who were honored at the congress for working to help marginalized young people. 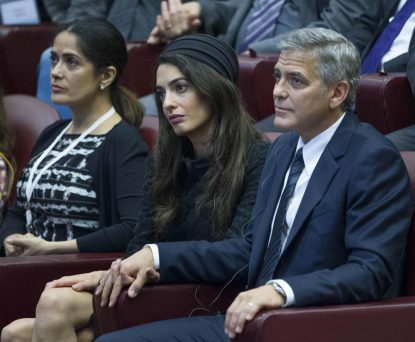 The pope sat in on the closing portion of the world congress, which was dedicated to dialogue and social integration. He heard personal testimonies, including from a young woman who was born in Mexico, moved to Chicago and was the victim of bullying for years. The pope called for an end to “aggression, bullying” when answering one of two questions from the audience. “Bullying is an aggression that conceals profound cruelty, and the world is cruel” with wars representing “the monuments of cruelty,” he said. Recalling photographs he received from a nun picturing a child massacred in a civil war unfolding in Africa, Pope Francis said bullying is the same kind of cruelty because it “massacres” the mind. In order to build a better world, “we need to eradicate all forms of cruelty,” he said. It is important to listen to others and ask questions — not argue right away — but inquire in order to truly understand the other person’s point of view and find points in common, he said. It’s also important people feel like they belong, which can even include “a virtual belonging” — being part of something meaningful online, he said. “It’s urgent to offer some kind of belonging,” he told his audience. Of the many new initiatives Scholas organizers announced at the congress, one included an invitation for young people to ask Pope Francis a question at www.askpopefrancis.com. Selected questions and replies will then be published in a book in various languages and countries in the autumn. Scholas Occurrentes is a project Pope Francis supported as archbishop of Buenos Aires, Argentina, and expanded as pope. Through schools it links students from different neighborhoods, countries, economic backgrounds and faiths to promote communication, understanding and cooperation.